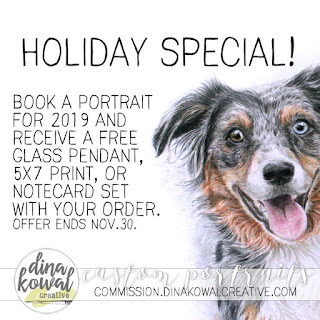 Dina Kowal Creative: Crafty holiday sales! 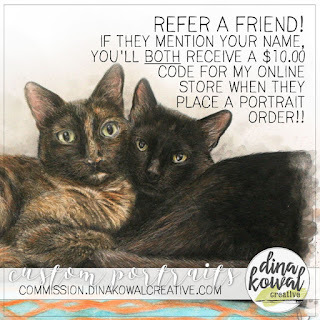 Save 20% off your order of $20 or more in my Etsy store! 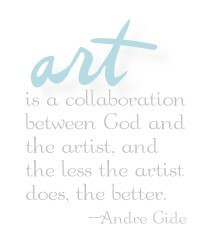 No code is needed. Offer ends Nov. 30. 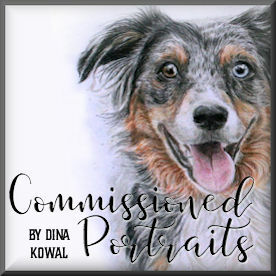 Book a custom portrait now for 2019 - plan ahead for a special gift - or refer a friend for a bonus for you both! And yes, I do people too! Offer ends Nov. 30. 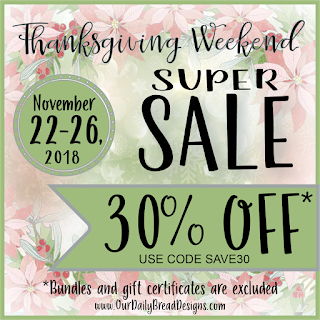 30% off orders of $50 or more - no code needed! 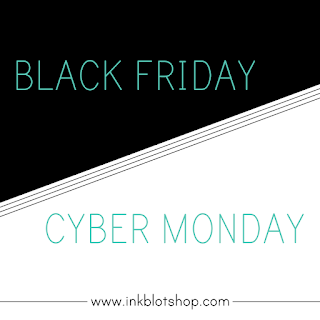 Orders over $100 (after discounts) will receive a free die while supplies last. 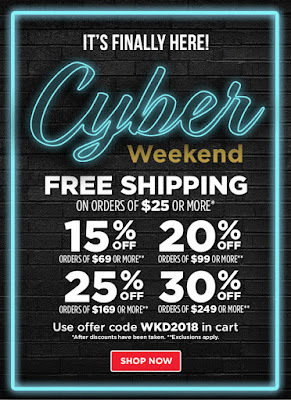 Orders over $125 (after discounts) ship free! 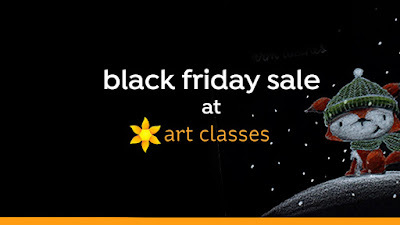 Save on online art classes with Sandy Allnock! Priced as marked, no code needed. Purchase a class and you might receive a gift in the mail! 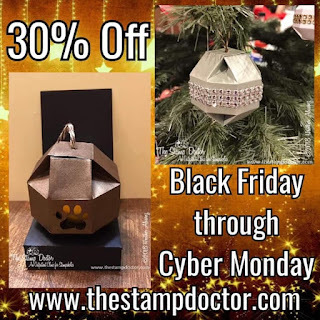 All stamps are 40% off. 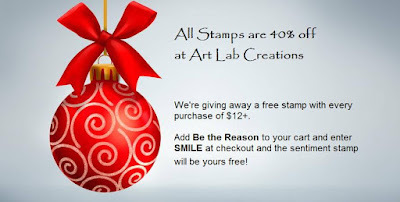 Receive a free sentiment stamp with your order of $12 or more. 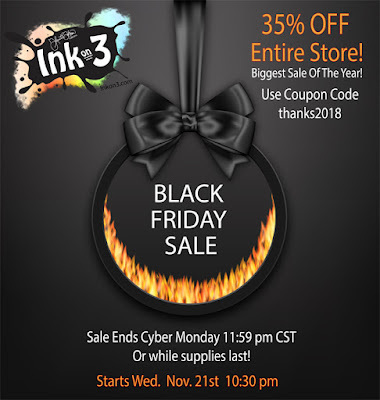 Blick Art Supplies - tiered discounts up to 30% off with code WKD2018, free shipping over $25. 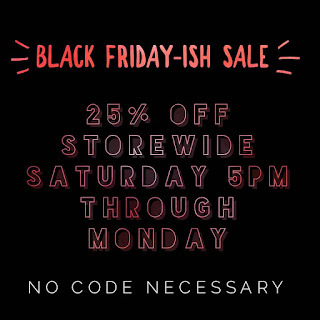 Through Nov. 26, save 25% on the entire store! No code needed. 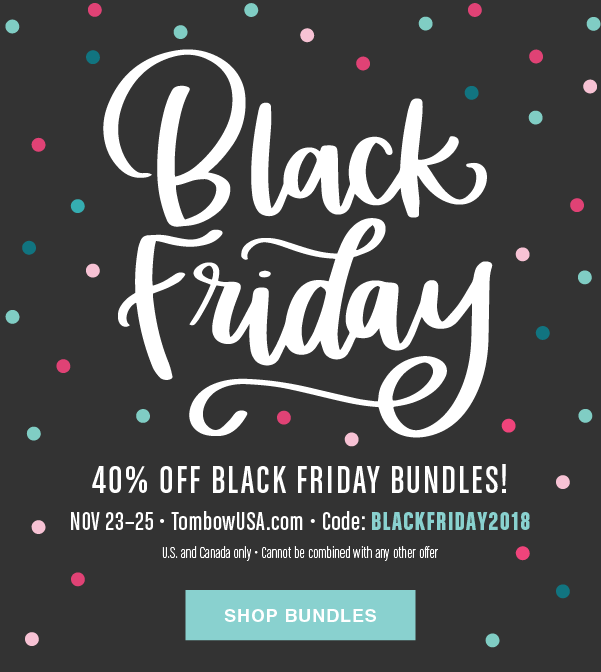 Nov 20-26 while supplies last - all holiday sets 15% off, retiring sets 40% off, no codes needed. 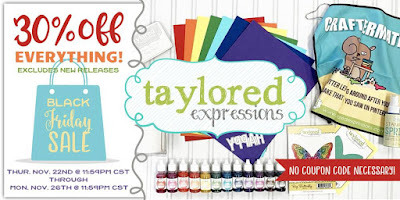 Free stamp set with orders over $50! 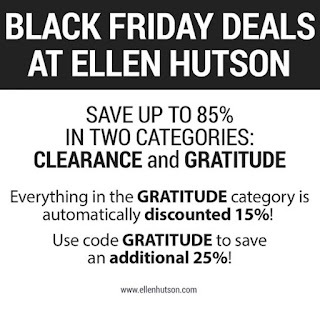 11/22 – 11/27 get 30% off orders up to $100 • 35% off $100-$199 • 40% off $200 and beyond - no code needed! 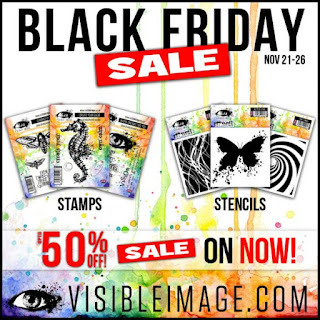 Nov. 22-26 save 50% on rubber stamps, 30% on clear stamps, 40% on stencils and supplies! no code needed. 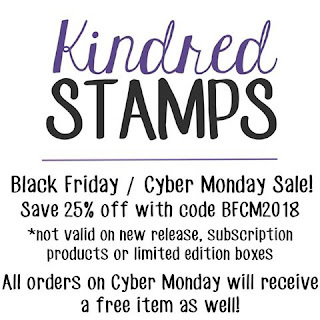 Nov.23-27 - the entire store is at least 20% off regular prices (excludes November 9th release) - There are over 60 Doorbuster Deals from 40% to 75% off - PLUS...our FREE Wintry Edge dies on orders over $60 (subtotal after discounts, while supplies last)...FREE shipping on domestic orders over $75 (subtotal after discounts)...AND FREE Shiplap Sentiments stamp set ($18 value!) 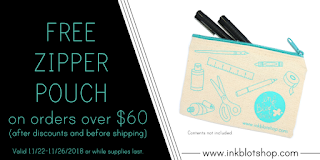 on orders over $120 (subtotal after discounts, while supplies last)! definitely stock up on pencils from this company! Lowest prices on Prismacolor and Polychromos, even before this discount! 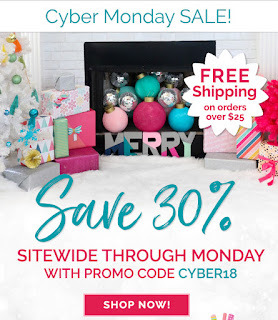 Use code CYBER18 for 30% off your entire order, free shipping over $25. 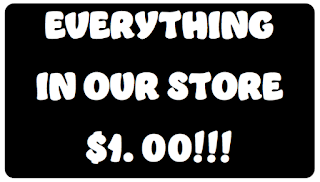 Nov. 21-30 everything in their ebay store is just $1.00! Crazy sale. 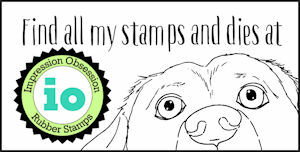 I stocked up on Art Impressions stamps! 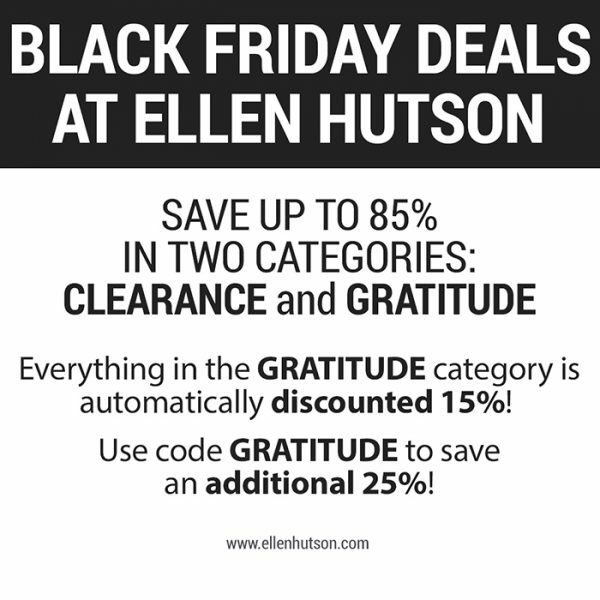 Shop the Clearance and Gratitude sections for discounted items, then save an additional 25% with code GRATITUDE. 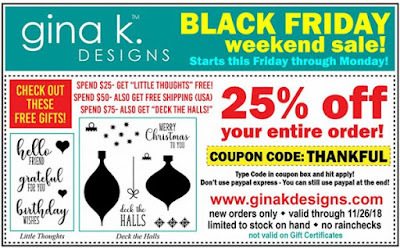 Free gifts at $25, $50, and $75! 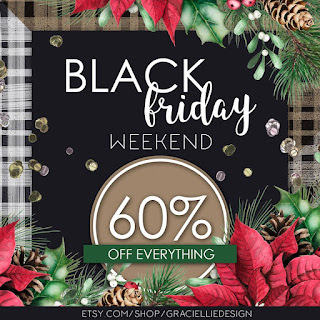 60% off the entire store - no codes needed! 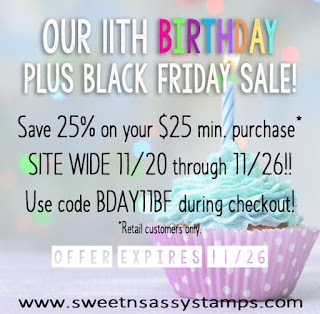 50 products marked down 25%! Free shipping over $25. Priced as marked. In addition, all orders over $60 (after discounts and before shipping) will include a free USA-made zipper pouch. 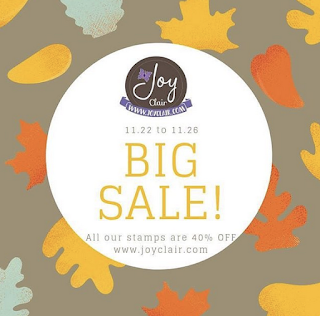 Nov. 22-26 save 40% on all stamps! 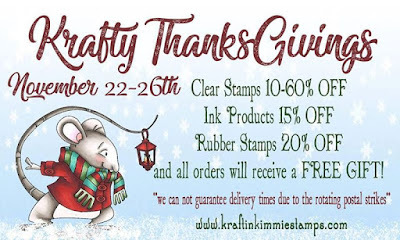 Kraftin Kimmie Stamps - discounted categories priced as marked - free gift with every order! 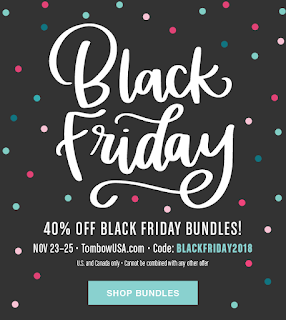 40% discount on selected sale products while supplies last - no code needed. 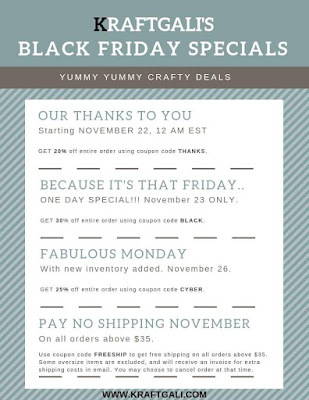 Nov 20-27 save 25% off your entire order - no code needed. 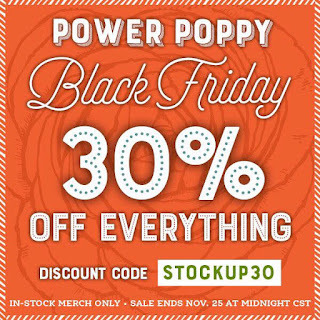 Nov. 22-26 save 30% off your entire order using code SAVE30 - free shipping too! 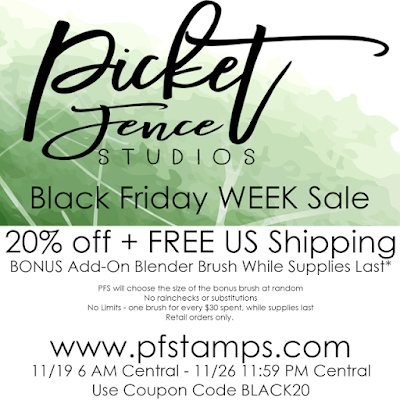 Through Nov. 26, save 20% on your entire order with code BLACK20 - receive a free blender brush for each $30 you spend, while supplies last! 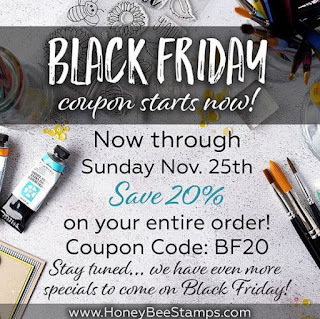 Nov. 20-27, save 30% off your entire order with code BLACK2018 - be sure to check out their brand new release and some great deals on stamp/die bundles! Free gift with every order! 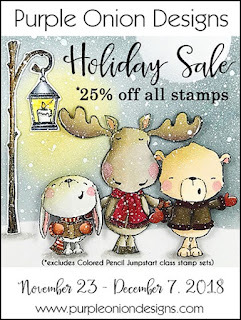 Nov. 23-Dec.7 - 25% off all stamps - no code needed! 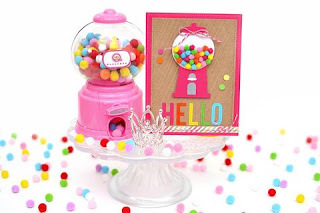 Discounts on selected items; This adorable pompom dispenser free with a $75 order while supplies last! 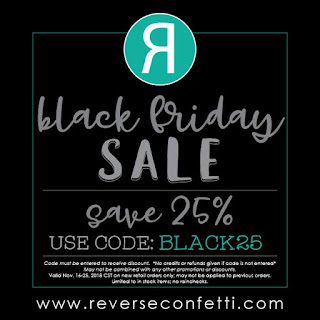 25% off your order with code BLACK25 - ends Sunday 11/25. 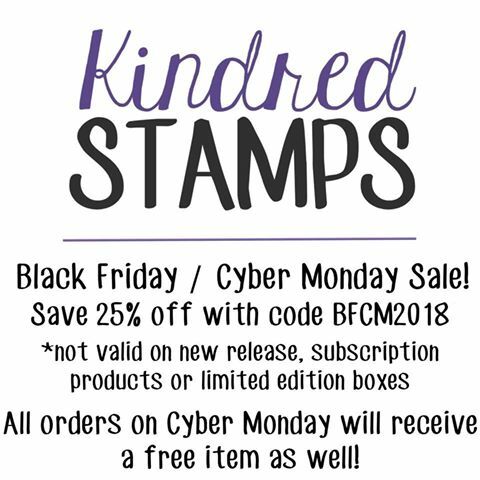 Save 30% off your order (some exclusions apply) using code BFCM2018. Orders over $50 will receive a collage sheet and sticker set! Free shipping over $75. Looks like the deals will be changing frequently over the weekend - keep checking this link! 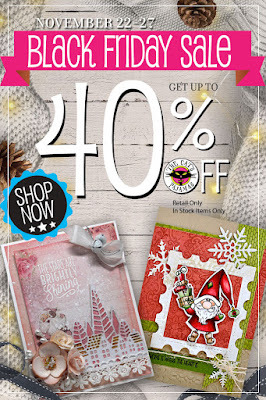 It's 20-50% off Sizzix right now. Deep clearance on selected items! 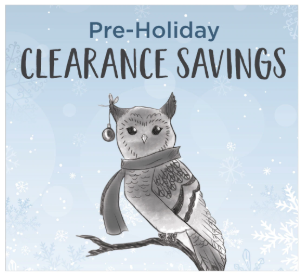 Pre-holiday clearance - priced as marked - use coupon SBSAVE10 for an additional 10% discount! More to come later in the week! 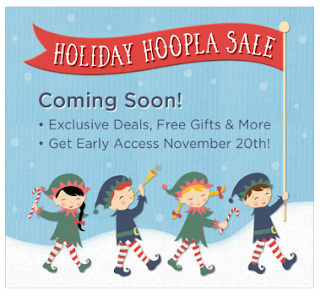 Lots of bundled deals, up to 50% off! I got some more Sharyn Sowell dies! Love them. 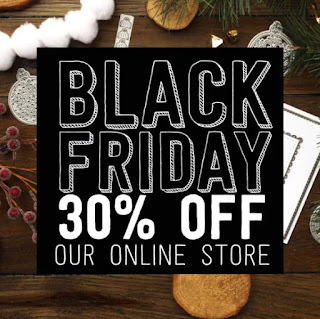 Through Nov. 26 save 30% off your entire order - no code needed! 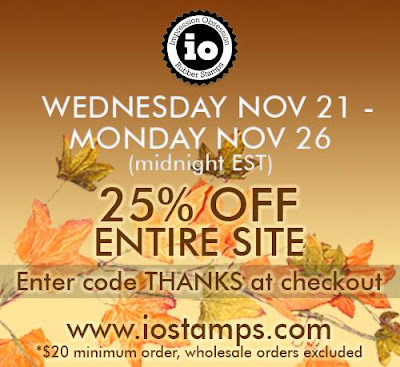 25% off your order with code THANKS - ends Tuesday 11/27. 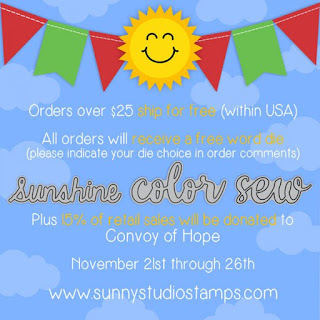 Nov 21-26, free shipping over $25, free word die with any order, donation of 15% of your order goes to Convoy of Hope. 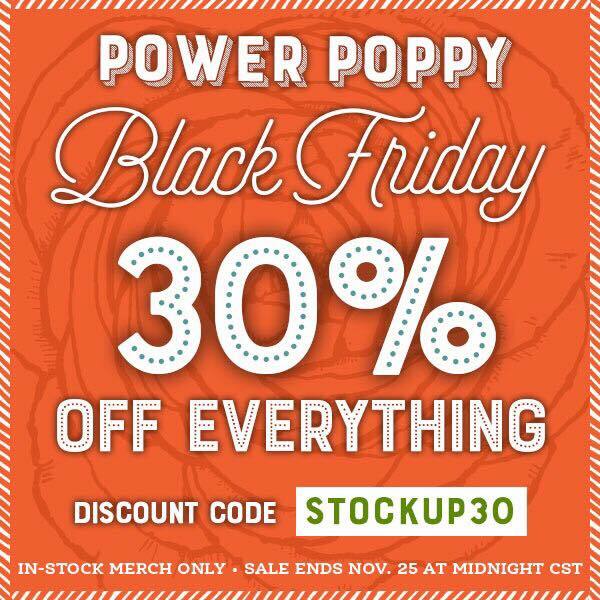 Nov. 22-26 - take 30% off your entire order (excluding new releases) - no code needed! Use code Nuvo50 to save 50% on all Nuvo Paste, Mousse, and Gilding Flakes through Nov. 26. 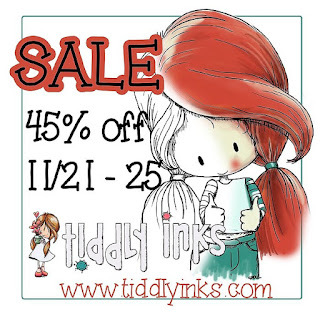 Tiddly Inks - Nov. 21-25 save 45% your entire order using code THANKSG18 at checkout. Nov. 20 - Dec. 6 save 50% off everything and 99c bling! Retired dies and sets at a discount - when they're gone they're gone! 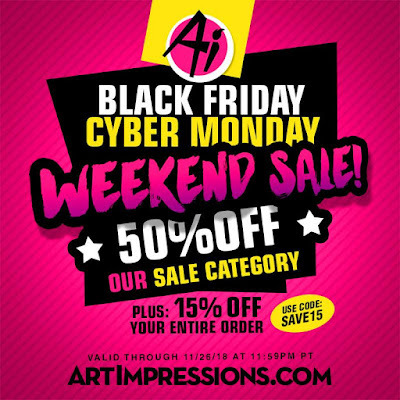 50% off the entire store, and a free gift with every download! 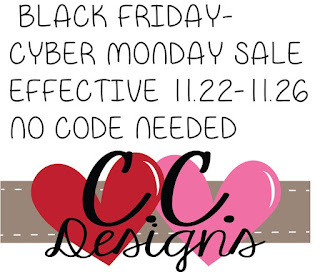 Ends Nov. 27.
there's no cost to you, and it helps keep my blog running. Thanks! Much appreciated!!! I hope that you will do this again next year.